Lock in a great price for Splash Beach Resort by Langham Hospitality Group - rated 8.5 by recent guests. It was a our honeymoon, and we were gifted with champagne and a beautiful display on our bed. The staff were very friendly and helpful, and the Water Park as a great added bonus. 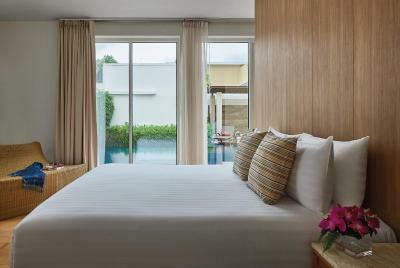 The location of the hotel is only a 15 minute drive from Phuket airport which makes it very convenient for getting there especially if you have an early flight the next morning. Watching the sunset from the swimming pool right next to the beach was a pretty sight as well as watching planes land right from the beach in front of the hotel. We were upgraded to the Penthouse which has 3 bedrooms and an amazing swimming pool and the terrace. It was just the final beautiful touch to our holidays. The property is very nice and has Plenty of things to do. We stayed in a 2 bedroom villa and the private pool was amazing - the villa was beautiful but I think if we had stayed in the main resort we would not have enjoyed the trip so much. The beds were very comfortable. Kids loved the water park so complimentary access was good. Great spot to stay longer than 1 night like we did. Good location,very big resort with best facilities,divine beach views,water park,very good service and food. Excellent value for money.Staff is very helpful and efficient. 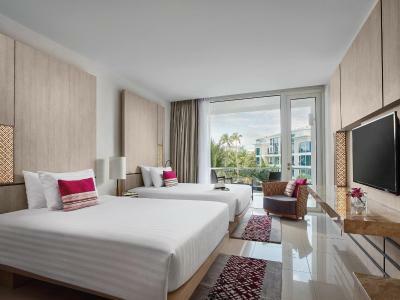 One of our top picks in Mai Khao Beach.Set in the peaceful Mai Khao Beach, Splash Beach Resort by Langham Hospitality Group features functional and comfortable accommodation on the northwest coast of Phuket, stretching along 11 kilometres. Surrounded by spacious landscaped gardens, the resort boasts Splash Jungle Waterpark, a range of on-site restaurants and bars and a large conference centre. 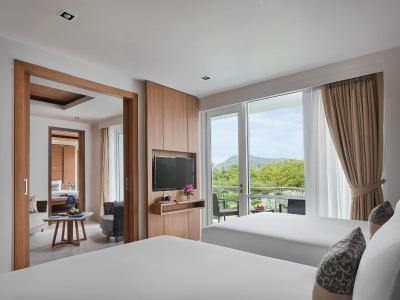 Featuring a variety of accommodations including rooms, suites, penthouses and villas, each modern unit offers free WiFi and views of tropical gardens, the pool or Andaman Sea. Flat-screen TVs with cable channels are provided. Selected rooms are fitted with a balcony and a kitchen. 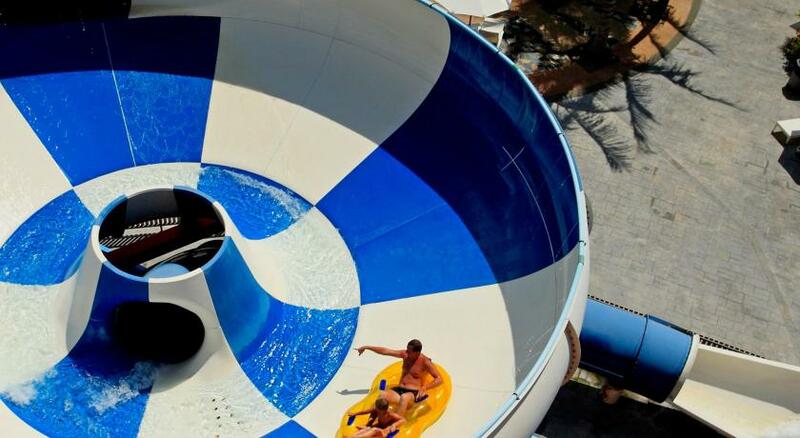 At the water park, guests can enjoy exciting rides such as Boomerango, a six-level wave pool and an aqua play pool for children. For those looking for a relaxing water park tour, a 350 yards lazy river is where they can float around and enjoy the place. The resort also has a sandy pool with direct access to the beach. 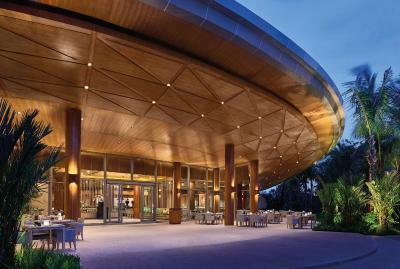 Eight dining options serving authentic Thai and international cuisine await guests at the resort. Drinks and light snacks are also available. 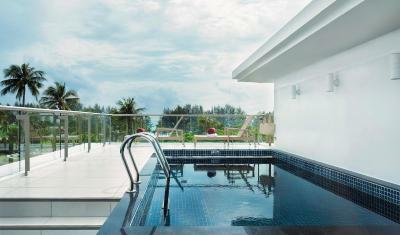 The nearest airport is Phuket International Airport, approximately a 15-minute drive away. Splash Beach Resort by Langham Hospitality Group has been welcoming Booking.com guests since 7 Jun 2010. When would you like to stay at Splash Beach Resort by Langham Hospitality Group? Please note that rooms with a balcony are subject to availability upon check-in. Tastefully designed and fitted with light-tone decor, the villa boasts a expansive courtyard, a 40-sqm private pool and an outdoor shower. There is also a airy living and dining area complete with a fully equipped kitchen. Guests have access to the Executive Lounge with continental breakfast, mid morning and lunch time snacks, afternoon tea and evening cocktails included. Offers a separate living room. 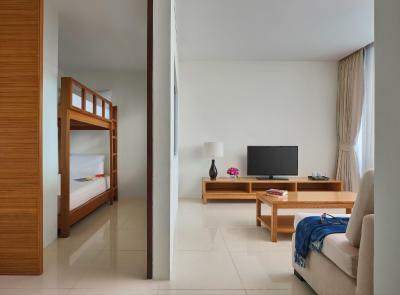 Offering a spacious living area and a airy bedroom, the suite also comes with a private bathroom fitted with a bathtub. There is also a separate living and dining area that opens up to a furnished balcony that overlooks the resort's facilities or gardens. The suite comes with a furnished balcony, a master bedroom with a King-sized bed and a second bedroom with twin beds and an en-suite bathroom. The penthouse suite boasts its own rooftop plunge pool, three bedrooms with its own en suite bathroom as well as a spacious living area and terraces. 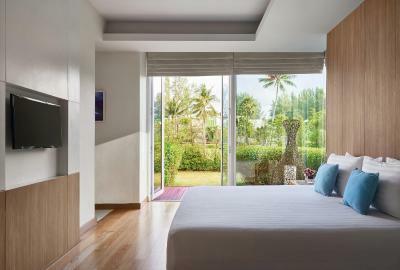 The bedrooms also overlook the resort gardens. Guests have access to the Executive Lounge with continental breakfast, mid morning and lunch time snacks, afternoon tea and evening cocktails included. 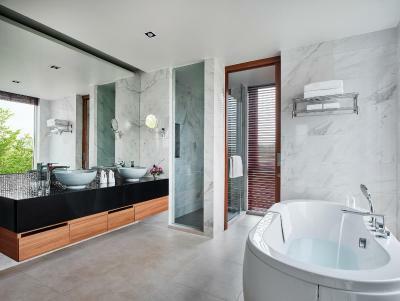 Designed in a lofty and harmonious decors, the penthouse suite is composed of four bedrooms and three en suite bathrooms. There's also a spacious living and dining area that connects to the fully equipped kitchen. Generous outdoor space allows guests to relax and enjoy the surrounding views. Guests have access to the Executive Lounge with continental breakfast, mid morning and lunch time snacks, afternoon tea and evening cocktails included. Offering garden views from its floor-to-ceiling windows, the villa comes with its own 40-sqm private pool and an outdoor shower. Each villa offers much comfort from the spacious living area. Guests have access to the Executive Lounge with continental breakfast, mid morning and lunch time snacks, afternoon tea and evening cocktails included. Designed with a light and lofty decor, the villa boasts a large courtyard as well as a 40-sqm private pool with an outdoor shower. Guests have access to the Executive Lounge with continental breakfast, mid morning and lunch time snacks, afternoon tea and evening cocktails included. Featuring modern interiors and décor, this family room comes with a flat-screen cable TV. An en suite bathroom features shower facilities. Coffee/tea making facilities and a hairdryer are provided. Offering views across the gardens or the water park, this spacious unit comes with a living area and a flat-screen cable TV. An en suite bathroom features shower facilities. Coffee/tea making facilities and a hairdryer are provided. Featuring a 40-sqm swimming pool, the luxurious villa also offers four bedrooms and three en suite bathrooms. It also has a spacious living room that overlooks the garden. A fully equipped kitchen is also available. Guests have access to the Executive Lounge with continental breakfast, mid morning and lunch time snacks, afternoon tea and evening cocktails included. This double room has a toaster, tile/marble floor and soundproofing. 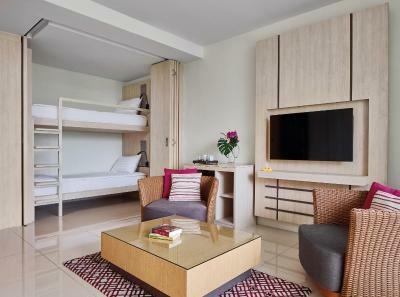 This double room features a balcony, dining area and bathrobe. This suite has a balcony, dining area and tile/marble floor. This twin room features a tile/marble floor and cable TV. This double room has a electric kettle, sofa and minibar. The resort has been designed to blend in with its ecologically sensitive environment, and has its own green systems that ensure the natural resources of the area are conserved.